To commemorate Robert Motherwell’s birthday, please enjoy this interactive map Robert Motherwell’s New York City. Each red pin represents a significant location in Motherwell’s life and legacy in New York City. The Dedalus Foundation is pleased to announce that we have chosen artist and community organizer Betty Yu to be our 2017 Dedalus Foundation Resident at the International Studio and Curatorial Program. Yu will develop a public engagement project and exhibition in Sunset Park with the support of Dedalus Foundation and its staff. This residency will build on Yu’s years of experience as a nationally recognized community leader and social justice artist. She has worked extensively with community-driven culture, media and art organizations such as the Chinatown Art Brigade, a cultural art collective of Asian American social justice artists, cultural workers and media makers which she co-founded in 2015; the Laundromat Project; and the Center for Media Justice. She cofounded the first NYC Field Office for the U.S. Department of Arts & Culture where she organized two successful community-based art events, “Imagining: Creative Strategies to Fight Gentrification” in June and July 2015 bringing together over 300 artists, cultural workers, media makers, housing rights activists, organizers, community residents and other stakeholders to imagine a future where adequate housing is seen as a human right. Raised in Sunset Park by immigrant parents, Yu approaches social issues through her own personal story, family narrative, and community’s history. 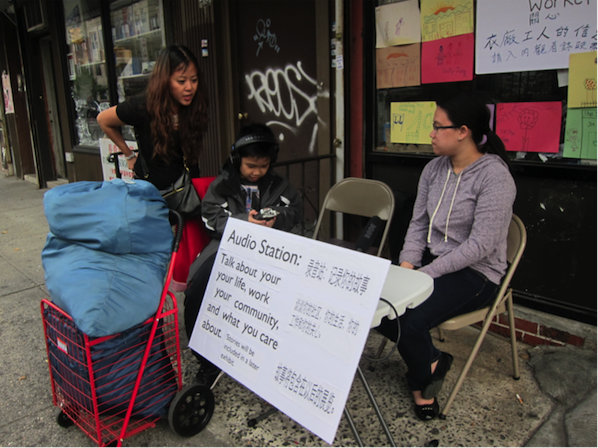 During her six-month residency, Yu will create a site-specific based exhibit and multi-media interactive website called, “The Future of Sunset Park: Through the Voices of Immigrant Stories.” The project will engage Latino and Chinese immigrants in the neighborhood, allowing them a platform to tell their own story of immigration and their journey to living or working Sunset Park. The goal of the project is to allow a creative space for everyday people who are impacted directly by immigration and gentrification to have an outlet to express what Sunset Park has meant to them and what their hopes are for the future. It will be a forum for community members and the general public to hear the rich and varied stories of Sunset Park’s residents. 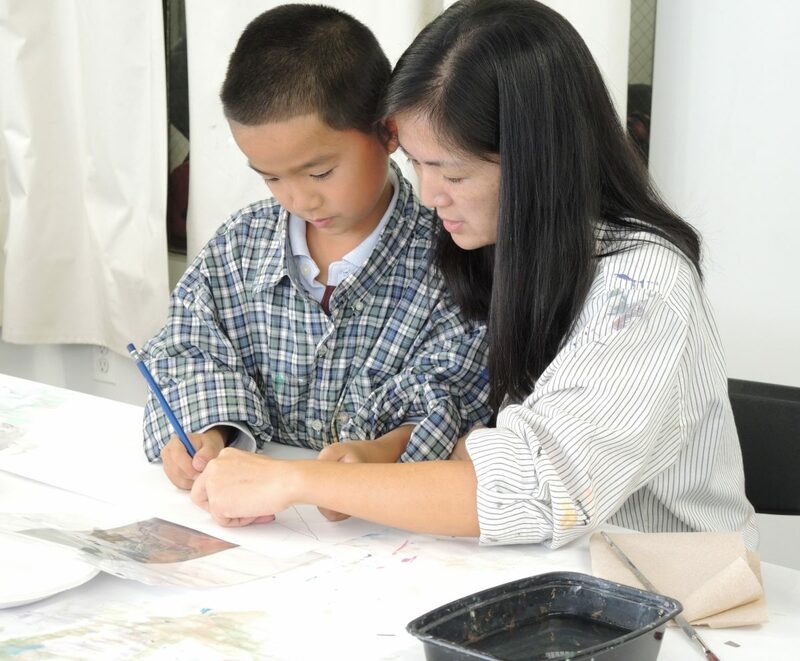 In order to further Motherwell’s legacy, the Foundation has begun to expand its educational programs for children and adults in our Sunset Park location. The Dedalus Foundation’s President and CEO, Jack Flam, sat down with Programs Director Katy Rogers to discuss the organization’s mission and how it is enacted through a dynamic roster of evolving programs. Welcome to the new blog feature on the Dedalus Foundation website. 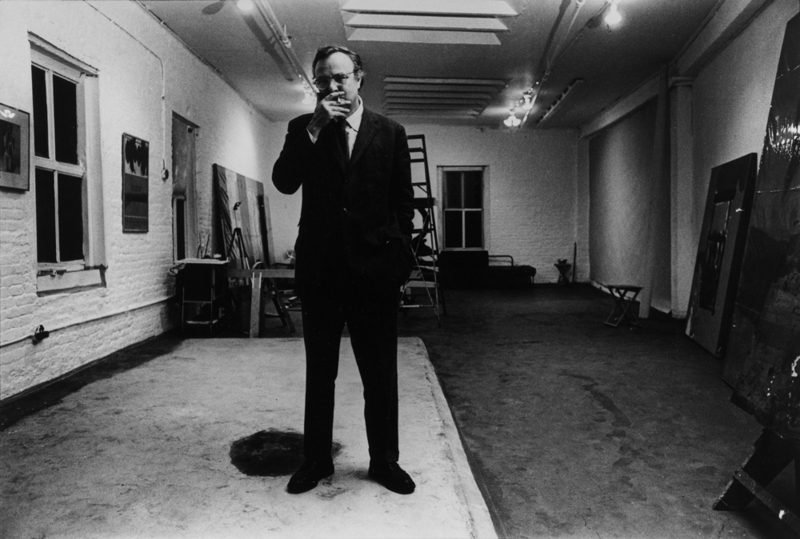 We are very excited to introduce this new forum, which will allow us to present information related to the Foundation’s programs and the art of Robert Motherwell. The blog will include short essays, scholarly articles, and reflections about modern art and modernism, and the role of arts education in contemporary society.